In match 15 of VIVO Indian Premier League 2019 (IPL 2019), Rohit Sharma’s Mumbai Indians (MI) defeated MS Dhoni’s Chennai Super Kings (CSK) by 37 runs at the Wankhede Stadium in Mumbai on Wednesday. 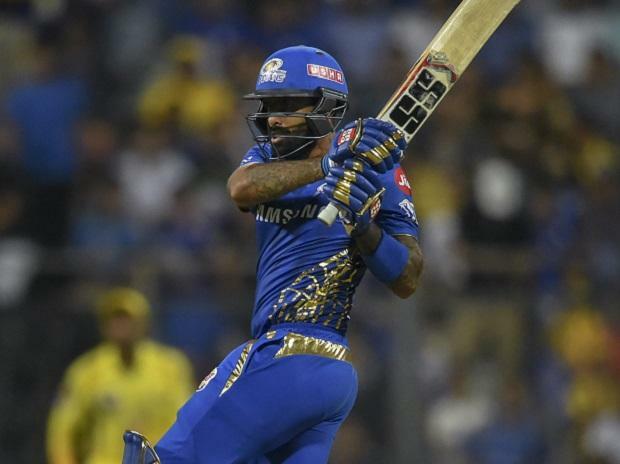 Hardik Pandya was characteristically quirky as well as breathtaking and the highlight was the helicopter shot in front of its synonym, Mahendra Singh Dhoni. Struggling at 50 for three at one point, Mumbai raked in 45 runs in the last two overs to post 170 for five and then halted their rivals at 133 for eight to post their second win in four games. This was Super Kings' maiden defeat and they remained on top of the table with six points. Thanks to the stroke-filled start by Yadav, MI ended with 40 on the board at the end of power play, but then lost skipper Rohit Sharma off the first ball of the 8th over, caught behind off Ravindra Jadeja for 13.